Is your lack of practical accounting skills preventing you from getting an accounting job or advancing in your career? Are you a qualified CPA but lack work experience? Do you want to learn how to file VAT, P.AY.E, N.S.S.F, N.H.I.F, withholding tax and other taxes on I-Tax? Do you work in an accounting department but you are not exposed to all accounting areas? Without experience your chances of getting a job or advancing in your career are slim. You might be a graduate, a CPA(K), CPS etc but without practical accounting skills, you will keep missing out on great job opportunities. Since last year we have trained over 550 accountants on how to file taxes using I-tax and on practical accounting skills using the latest version of Quickbooks. If lack of practical work experience in accounting is stopping you from getting a job. If you apply for accounting jobs and employers don’t call you for interviews due to lack of practical work experience. If you are working in a non-accounting job and you want to kickstart your accounting career, then this will help you get started. If you want to learn how to file statutory returns on I-Tax i.e VAT, PAYE, Etc. 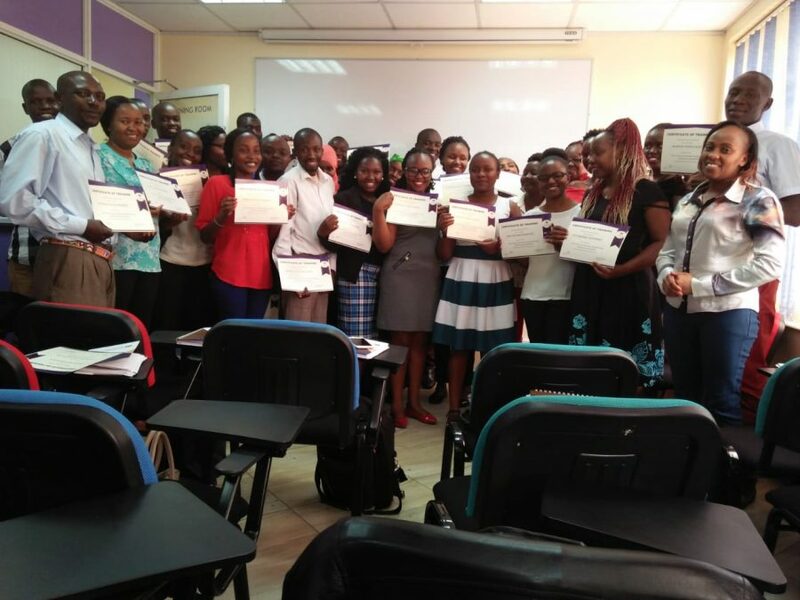 With the training, you will acquire practical accounting knowledge that will give you the much-needed skills and enable you to get an accounting job. And we don’t just teach you on how to file taxes on I-Tax and Quickbooks. We have a session where we teach you how to pass interviews and write a convincing accounting CV. We are a leading HR consultancy & training firm in Kenya that recruits for top employers and organizations. We have consulted for employers such as AAR Insurance, UN Women, Honda, Hass Consult, Safaricom Investment Sacco, Nivea, Weetabix, Monarch Insurance, Davis & Shirtliff, Rafiki DTM, Car & General, etc. We know what employers are looking for in an accountant. Our goal is to empower you with practical accounting skills to help you gain experience and hands-on skills that will enable you to get a job. If you want to gain practical experience on how to file taxes on I-Tax and how to use QuickBooks register today for the next class. Our 5-day class starts on Monday’s and ends on Friday i.e. 5-day training (Monday – Friday). Next Class Begins 29th April to 3rd May 9:00 AM – 1: 00 Pm. Register For Details Below. To book for the class, please fill in your details below and one of our trainers will call you with more details about the training as they also answer any question you might have. I look forward to you joining us next week as we train you on practical accounting, I-Tax, how to file PAYE, NSSF, NHIF etc and the latest version of Quickbooks so that you can advance in your accounting career or get an accounting job faster. Classes are held at our Westlands office in Mayfair Suites 4th floor. You will receive free writing materials and other instructional resources. See you next week. Happy to learn new skills relevant in the job market. What I liked most about the class was the practical nature of the lessons. I come out knowing how to file VAT on I-tax and other statutory obligations. I am now confident in my accounting skills. J- Mukami. I will forever be grateful to Corporate Staffing Services for the training. With the new skills, I was able to change departments from customer care to my new position of junior accountant. Mary Atieno. Though I am a qualified accountant (CPA-K) I was struggling to get a job as I didn’t have practical accounting skills. This training was able to bridge the gap and I now know what is required of me as an accountant. Fredrick. The 5-day training was worth the money and I love the resources too. Jacinta.